Firefighters were monitoring the Lightner Creek Fire by helicopter Tuesday to make sure it didn’t jump containment lines. “On the west side of (County Road) 207, that was a hot fire and burned into some big fuels,” he said. 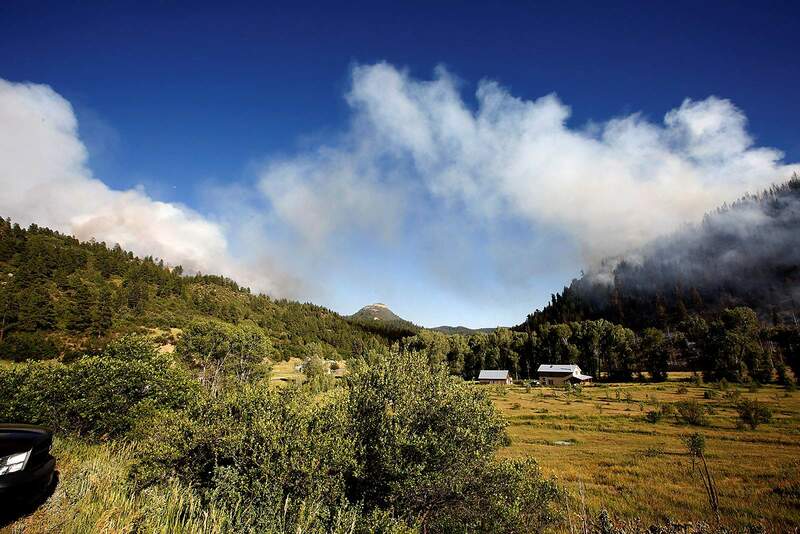 The Lightner Creek Fire started Wednesday at a home, and that night, an ember sparked a second fire that became the larger blaze near Perins Peak. The only structure destroyed from the fire was the home where it started. The helicopter monitoring the fire is based at the Old Fort Lewis campus in Hesperus, and it is making sure the fire doesn’t spread beyond the burned area, he said. If residents spot a fire in green areas, they should call 911, but it not necessary to report fires within the burned area, Davis said. “All those take us away from other calls,” he said.